Jeff Sessions campaigning for Trump in 2016, the only senator who endorsed him from the outset. This fanatical anti-immigration politician was appointed Attorney General and strongly attacked the immigration system. Watching Trump on TV on Jan. 19 when he announced his latest proposal, financing his wall in return for “benefits” for TPS and DACA recipients, some could think he really believed what he was saying. 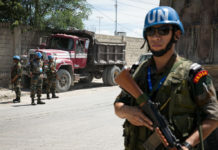 He added about the 2010 terrible earthquake: “truth is Haiti is still suffering very badly, maybe as badly, after all of the tears and all of the money and all of the work. 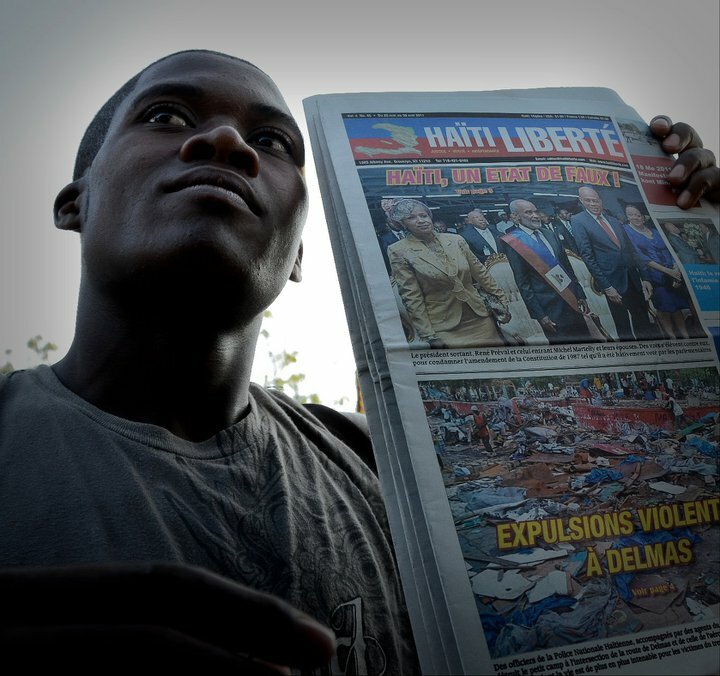 The Haitian people deserve better, so… I will give them better. Today we begin a new chapter, together we will build a relationship based on mutual respect and friendship and love […] and whether you vote for me or don’t vote for me, I really want to be your greatest champion, and I will be […] You’re an amazing community and it’s an honor to be with you.” One year later, Trump’s DHS secretary Elaine Duke, under White House pressure, terminated Haitians’ Temporary Protection Status. One can certainly add ignorance, with its corollary of racism. In the spring of 2017, shortly after his inauguration, Trump met with members of the Congressional Black Caucus. “During that meeting, one of the members mentioned to Trump that welfare reform would be detrimental to his constituents — adding, ‘Not all of whom are black’ according to NBC News. The president was incredulous. ‘Really? Then what are they?’” According to the 2017 report of the Center on Budget and Policy Priorities in Washington DC, 6.2 million whites had benefited from the Temporary Assistance for Needy Families, commonly referred to as welfare, against 2.8 million blacks and 2.4 million Hispanics, i.e. 54% for the US president’s favorite race. 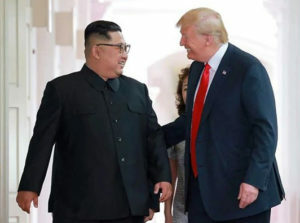 After having insulted him, Trump bonded with his North Korean counterpart and developed a “terrific relationship”. The US president is easily seduced and confused, including by his entourage of anti-immigration ideologues. “He has a basic understanding of the immigration issue but is not conversant on the details and jargon that lawmakers have been negotiating on and off for years” wrote The Atlantic’s Russell Berman about Trump after the above-mentioned White House meeting. We would not be surprised if Trump was left in the dark – without that disturbing him – about the details of last month’s bill, of which he presented only a misleading aspect: granting a three-year legal reprieve to DACA and TPS. In the case of DACA, in order to finally convince Trump to stop it, his then Attorney General, Jeff Sessions, and his advisers plotted with Ken Paxton, Texas Attorney General, who gave an ultimatum: he would sue the federal government if it did not end on Sep. 5, 2017 the program he found illegal because, instituted under Obama in 2012, it exceeded the executive’s power. By that date, Trump bowed down. 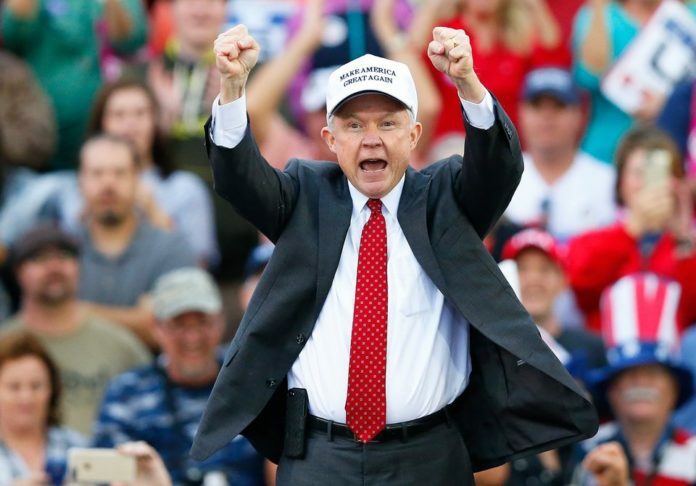 Trump looks after his electoral base, but his entourage sees much farther and knows firmly what they want, starting with Jeff Sessions, an anti-immigration fanatic since his days in the Senate where he entered in 1997 after being Attorney General in Alabama. At the time, he had summoned a black official to his office, called him “boy” and told him “to be careful what he said to white people.” Earlier, appointed by Ronald Reagan in 1986 as a federal judge, he had been voted down by the Senate Judiciary Committee, the second time only in half a century that the Committee vetoed a candidate for the federal judiciary. During his examination, it was revealed that he had called a white civil rights lawyer a “traitor and a disgrace to his race,” and he had referred to the NAACP, the National Council of Churches, and the ACLU as communist-inspired and un-American. Wrote Dara Lind in Vox: “While other [Trump] Cabinet officials have gotten sucked into White House drama or caught in their own venal scandals, Sessions has generally kept his attention on doing his job,” i.e. to stop violations of immigration laws, in fact, stop immigration altogether. Indeed, career officials at the Census Bureau are dismayed. “The decision ignored the advice of six former Census directors, multiple Census advisory committees, and even the Bureau’s own chief scientist, who agreed the question would jeopardize the accuracy of the 2020 enumeration (chiefly by discouraging immigrant communities from participating).” Terri Ann Lowenthal, a consultant and census expert who worked for Obama, noted that “The disregard for the scientific process is truly alarming.” We see the same tactics with the TPS where the administration ignored the advice of the professionals – in this case State Department career officials who reported on the conditions in Haiti – to make a purely political decision. And, as with the TPS, there are six lawsuits by 17 states challenging this new citizenship issue in the census. In the case of the census, beyond being a racial obsession, the goal is to reduce the political weight of the certain regions – often urban with a Democrat majority – and favor those with a smaller population, fewer representatives in Congress, and less federal funds. It is estimated that “132 federal programs rely on census data to distribute more than $675 billion”. And yet the AEI is very conservative. But Sessions’s extremist views were not shared by the bulk of the Republicans where he was in a small minority … until the Trump administration came along and recruited him as Attorney General. And with him he brought his troupe, starting with his alter ego, Stephen Miller, a 33-year old who started with him out of college in 2009 when he was a Senator from Alabama, to become his chief communications advisor when Sessions entered Congress, sharing identical views on trade, Islam, and especially immigration. It was Miller who wrote the “Immigration Handbook for a New Republican Majority,” which helped Sessions torpedo a 2015 bipartisan Senate deal on comprehensive immigration reform in the House. When Trump arrived on the political scene, Sessions propelled Miller to the tycoon saying: “When it comes to issues and messaging and policy, there isn’t anybody else that I’ve known that would be as valuable to a presidential campaign as he.” A far-right fanatic ideologue since high school, Miller is behind all of Trump’s anti-immigration laws: the travel ban for nationals of seven majority-Muslim countries, the separation of families on the U.S.-Mexico border, the wall on this same border, the dismantling of the asylum system, the hardening of immigration courts. 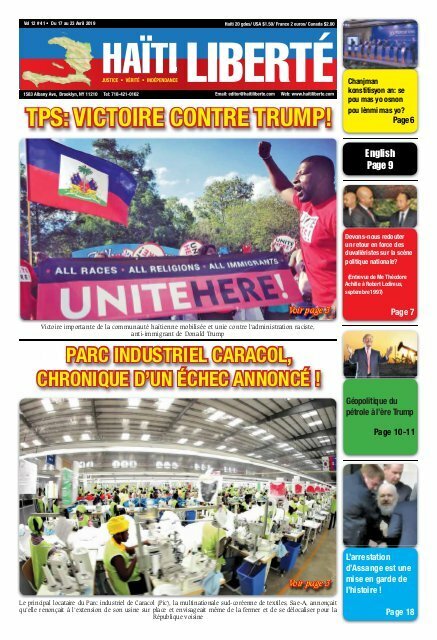 And most recently, he is the one who introduced in the Jan. 19 Senate bill an additional burden for the TPS recipients: to prove that their job would not be “contrary to the national interest”! One faithful assistant of both Sessions and Miller is Gene Hamilton, 35 years old, the one who wrote the memoranda ending DACA when he was senior advisor to acting DHS secretary Elaine Duke. Lee Cissna, the director of Immigration Services. The son of a Peruvian, he very strictly re-interpreted the immigration laws. For him, the United States of America is not anymore “a nation of immigrants”. Hamilton started his career as a lawyer at U.S. Immigration and Customs Enforcement (ICE) in Atlanta in its legal section, the country’s toughest against immigrants. In February 2015, Hamilton moved to the Senate Judiciary Committee to become the general counsel of Jeff Sessions, who was Chair of the Subcommittee on Immigration, Refugees and Border Security, newly renamed Senate Subcommittee on Immigration and National Interest. There he worked on Sessions’ anti-migration policies while collaborating with Republican Sen. Charles Grassley, who was the chairman of this judiciary committee, and had the same hawkish immigration ideas. 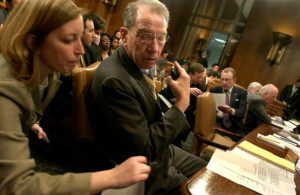 Grassley’s two assistants were Francis Cissna and Kathy Nuebel Kovarik. 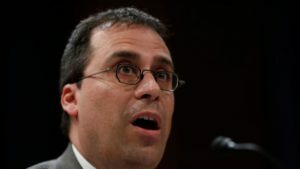 When Trump came to power, all three ended up at DHS in the spring of 2017, Cissna as Director of Immigration Services (USCIS), replacing Leon Rodriguez, our expert witness at the trial (2nd part), and Kovarik as head of the USCIS Office of Policy and Strategy. 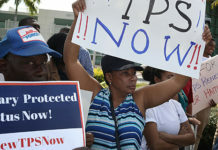 We showed earlier how Kovarik put pressure on her staff at DHS to obtain negative data – including crime and public/private relief – on Haitian TPS. Cissna, meanwhile, a lawyer – and briefly a civil servant at the U.S. consulate in Port-au-Prince – was already (under anti-immigration Sen. Grassley) a hardliner on immigration, having sent at least 93 requests to DHS on immigration topics, to the point that then secretary Jeh Johnson, under Obama, wrote at the end of 2015 to Grassley “saying the inquiries were preventing his staff members from getting their work done. 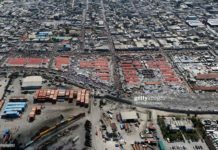 One November 2015 letter requested information ‘in precise detail’ on 250,000 immigrants — and gave the agency two weeks to respond. Some people at the agency found the letters to be especially hostile. They became very detailed, almost derogatory, letters with knowledge about agencies that an ordinary Hill staffer wouldn’t know about.” But Cissna was highly motivated and had previously worked at DHS. “The Grassley letters written during Cissna’s tenure ‘exhibit an overall anti-immigrant view’,” said Stephen Yale-Loehr, a professor of immigration law at Cornell who studied them. Charles “Chuck” Grassley is another anti-immigration senator. He is here in the Senate when he was Chairman of the Judiciary Committee, with his assistant Kathy Nuebel Kovarik who became Chief of Policy at DHS and worked to end the Haitian and Centro -American TPS. It is ironic to note that Cissna’s mother is a Peruvian immigrant, his mother-in-law emigrated to the U.S. as a Palestinian refugee in 1957, and he speaks Spanish to his two young children. As for Stephen Miller, his great-grandfather, Sam Glosser, emigrated to the U.S. in 1906, fleeing violent anti-Jewish pogroms and forced conscription into the Russian Tsar’s army.